Asia are previewing their forthcoming new album, “Gravitas”, with the release of a behind-the-scenes video package on the project. 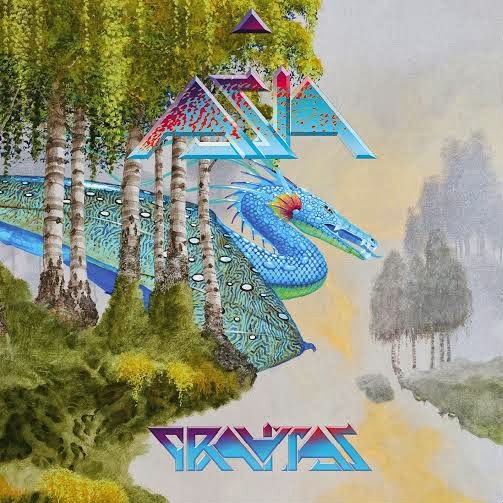 Produced and written by John Wetton and Geoff Downes, “Gravitas” introduces the band's new guitarist, Sam Coulson, who replaced Steve Howe last year following his return to the Yes lineup. Scheduled for release on March 5th (Japan), March 21st (Europe). and March 25th (North America), “Gravitas” will be available in two configurations: a standard CD and a Deluxe Edition, that will include two bonus tracks and a DVD containing the “Valkyrie” music video, a promotional film, and footage of classic live Asia tracks such as “Heat of the Moment,” recorded with the Plovdiv Philharmonic Orchestra in Bulgaria. Asia will launch a world tour to support “Gravitas” in June. “Gravitas” can be pre-ordered via the Amazon link below.